Scotland-based doom metal unit KING WITCH will begin a short Euro/UK this Friday. The ten-date journey will wind its way through Sweden, Germany, Belgium and the United Kingdom from May 4th through June 8th. See all confirmed dates below. KING WITCH released their Under The Mountain debut full-length via Listenable Records on March 16th. Captured by guitarist Jamie Gilchrist at their underground studio in their home city of Edinburg, and mixed and mastered by Tom Dring at Vagrant Recordings (Dragged Into Sunlight, Acolyte) in Southport, the record comes swathed in artwork created by vocalist Laura Donnelly. 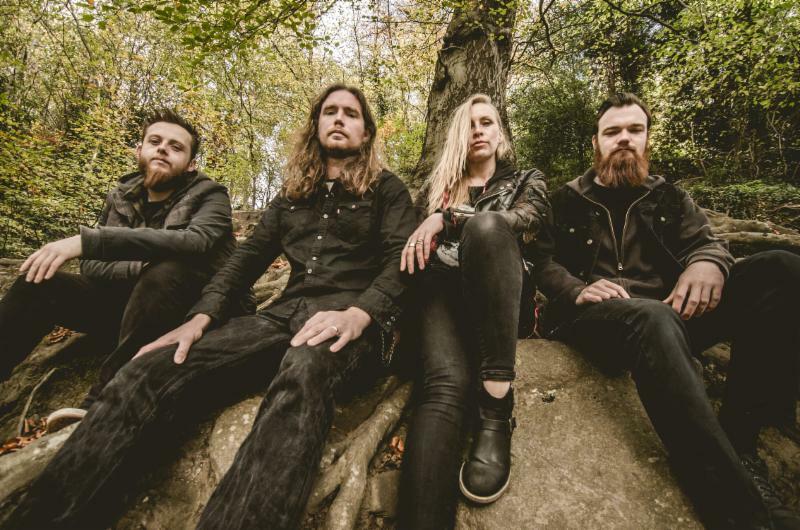 Influenced by everything from Black Sabbath and Led Zeppelin to Mastodon and High On Fire, Under The Mountain is as melodic as it is monolithic boasting nine riff-laden tracks offset by Donnelly’s powerful yet bewitching vocals.